Sunblock Vs Sunscreen, Which Would Be Your Pick This Summer? Women all over the world are concerned about their skin, particularly skin tanning. That is because nobody wants to lose their complexion whatever it is. These days the summer is extreme and getting out in the sun without any protection to the skin is inviting trouble and nothing else. So to prevent tanning and other issues related to the skin, women use the sunblock or sunscreen. Now both sound similar, but is it same too? Well, that we will find out in a while. For most people sunscreen and sunblock are the same, but it really is not the same. So what sets it apart, let us find out. Sunscreen is basically a product that comes in the form of a lotion and its consistency if light. The sunscreen has SPF in it. SPF means sun protecting factor. Sunscreen comprises of certain contents that will help it absorb the UV radiation and will decrease the amount of rays reaching the skin. 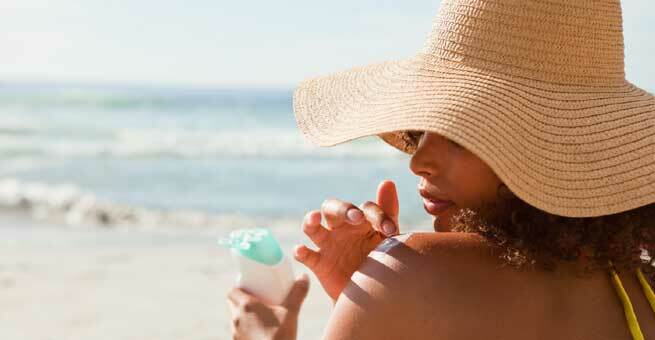 The chemicals that are generally used in the sunscreen are avobenzone, avobenzone, oxy methyl cinnamate etc. and these products can trigger irritation in skin. 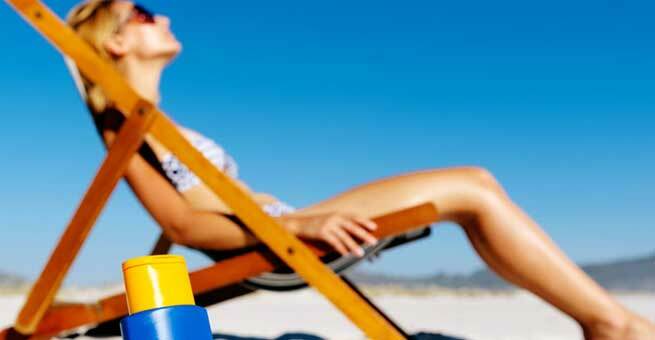 As per the American Academy of Dermatologists, people should use a sunscreen with an SPF level more than 30. This will help in preventing skin damage. So sunscreens are basically “chemical barriers,” that will filter the sun’s rays however they will not be able to block them completely from contacting the skin. Sunblock on the other hand is creamy and thick in consistency and they contain products that will filter the sun’s rays. 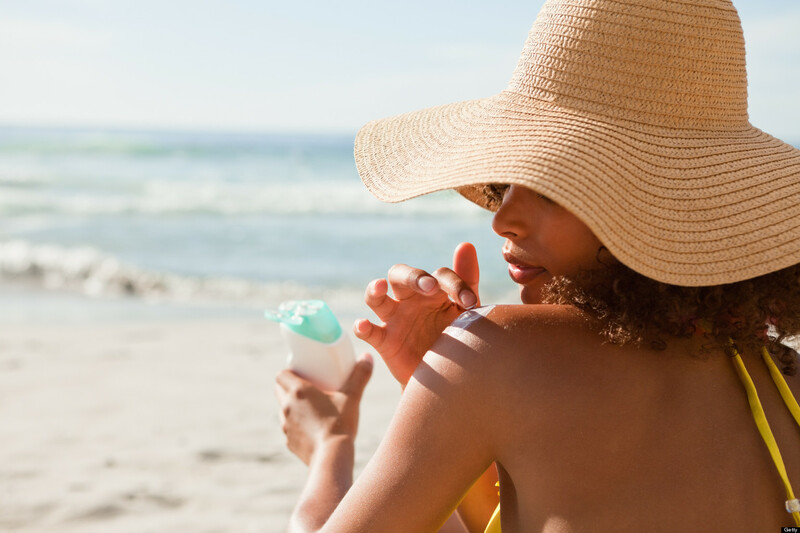 The products that a sunblock cream will in general contain are titanium oxide or zinc oxide, and they block the sun from coming in contact with the skin covered with sunblock. Since the consistency of the sunblock is thick it is much more durable and the opaqueness makes it an easy job to identify the places where it has worn thin. Sunblock comprises of broad spectrum, which basically gives broad-spectrum protection from both UVA and UVB rays. This makes it suitable for all girls and boys who are highly sensitive to ultraviolet rays. Sunblock are basically “physical barriers,” and they block the sun’s rays and block it from coming in contact with the skin in order to cause damage. So which one is ideal for you? The main aim of the product that you use should be to provide you good protection from sun and at an SPF 30 minimum the choice will be entirely up to you to choose the best. Sunblock due to its thick consistency can be little tricky in terms of spreading evenly meanwhile sunscreen is of the thinner consistency. Both of them provide adequate protection but you need to use the right SPF for you as per your skin type. Sunblock offers broad-spectrum protection which basically helps in physically blocking the sun rays meanwhile sunscreen fails to offer that. Sunscreen is easier to apply on the skin as opposed to sunblock and it is available in water proof version too. Sunblock products does not have the SPF level printed on them as they are not been measured with SPF units however that does make them any less in terms of its benefits. They are in fact, considered to be better when used in a proper way. If you are addicted to just sunscreens, always make sure that the sunscreen is with an SPF rating of at least 15. People with fairer complexion need to go for higher SPF. Always read the contents before buying sunscreen or a sunblock cream, as you do not want to shock yourself later when you use it. While searching for a sunblock, make sure it does NOT have vitamin A or its derivatives. This will speed up the cancer which is usually prevented with sunscreen.